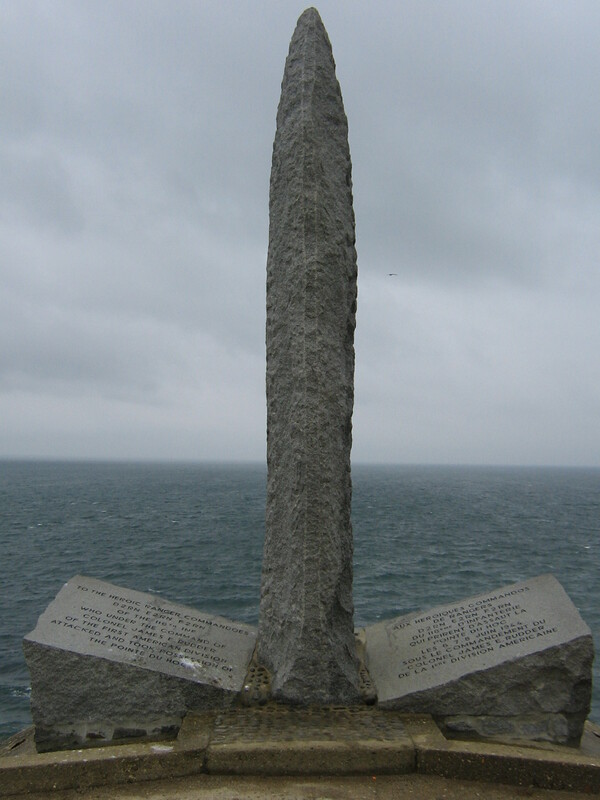 The Rangers’ Memorial at Pointe du Hoc. Dedicated in 1960, this simple dagger memorial commemorates the efforts of the 2nd and 5th Ranger Battalions actions on D-Day. Other Ranger units struck the beaches at UTAH and OMAHA. Rudder’s men who attacked Pointe du Hoc lost 135 out of 225 men engaged.